Area: 756,945 sq. km. (302,778 sq. mi. ); nearly twice the size of California. Cities: Capital: Santiago (metropolitan area est. 6.25 million). Other cities — Concepcion-Talcahuano (840,000), Vina del Mar-Valparaiso (800,000), Antofagasta (245,000), Temuco (230,000). Terrain: Desert in north; fertile central valley; volcanoes and lakes toward the south, giving way to rugged and complex coastline; Andes Mountains on the eastern border. Climate: Arid in north, Mediterranean climate in the central portion, cool and damp in south. Nationality: Noun and adjective — Chilean(s). Population (June 2010): 17 million. Annual population growth rate: 0.881%. Ethnic groups: Spanish-Native American (mestizo), European, Native American. Religions: Roman Catholic 70%, Evangelical 15.1%, Jehovah's Witness 1.1%, other Christian 1%, other 4.6%, none 8.3%. Education: Years compulsory: 12. Attendance — 3 million. Adult literacy rate — 96%. Health: Infant mortality rate: 8.9/1,000. Life expectancy — 71 yrs. for men, 78 for women. Work force (6.94 million); employed 6.45 million: Community, social and individual services — 26%; industry — 14.4%; commerce — 17.6%; agriculture, forestry, and fishing — 13.9%; construction — 7.1%; financial services — 7.5%; transportation and communication — 8.0%; electricity, gas and water — 0.5%; mining — 1.2%. Constitution: Promulgated September 11, 1980; effective March 11, 1981; amended in 1989, 1993, 1997, and 2005. Branches: Executive: president. Legislative — bicameral legislature. Judicial — Constitutional Tribunal, Supreme Court, court of appeals, military courts. Administrative subdivisions: 14 numbered regions and the Santiago metropolitan region, administered by appointed "intendentes." Regions are divided into provinces, administered by appointed governors; provinces are divided into municipalities administered by elected mayors. Political parties: Major parties are grouped into two large coalitions: 1) the center-left "Concertacion", which includes the Christian Democrat Party, the Socialist Party, the Party for Democracy, and the Radical Social Democratic Party; and 2) the center-right "Alliance for Chile" (or "Alianza"), also called the "Coalition for Change," which includes the National Renewal Party and the Independent Democratic Union. The Communist Party, the Humanist Party and a number of smaller parties formed the "Together We Can" coalition in 2004, which ran presidential candidates in 2005 and 2009. A new center-left party, "Chile-First," was established in October 2007. Another left party, "Progressive Party" (PRO) began its official legalization process in February 2011. Suffrage: Universal at 18, including foreigners legally resident for more than 5 years; absentee voting is not permitted. GDP (2010, estimate): $203.9 billion. Annual real growth rate (2010, estimate): 5.2%. Per capita GDP (2010, purchasing power parity): $15,002. Forestry and agriculture (2% of GDP): Products — fruits, wheat, potatoes, corn, sugar beets, onions, beans, livestock. Fisheries (1% of GDP): Products: fish and seafood. Commerce (9% of GDP): Sales, restaurants, hotels. Manufacturing (12% of GDP): Types: mineral refining, metal manufacturing, food processing, fish processing, paper and wood products, finished textiles. Electricity, gas, and water: 5% of GDP. Financial services (15% of GDP): Insurance, leasing, consulting. Mining (15% of GDP): Copper, iron ore, nitrates, precious metals, and molybdenum. Trade: Exports (2010): $69.6 billion: copper, fruits and nuts, fish and seafood, and wood products, cellulose and manufactured products. Major markets — China (25%), Japan (11%), United States (9%), Brazil (6%), South Korea (6%), Netherlands (4%), Italy (4%), Mexico (3%), Taiwan (3%), Belgium (3%). Imports (2010) — $54.5 billion: fuels, heavy industrial machinery, motor vehicles, electrical machinery, plastic. Major suppliers — U.S. (18%), China (16%), Brazil (9%), Argentina (9%), South Korea (6%), Japan (6%), Mexico (4%), Germany (4%), Colombia (3%), Peru (3%). The northern Chilean desert contains great mineral wealth, principally copper, but also gold, potash, and lithium salts. The central area dominates the country in terms of population and agricultural resources. This area also is the cultural and political center from which Chile expanded in the late 19th century, when it incorporated its northern and southern regions. Southern Chile is rich in forests and grazing lands and features a string of volcanoes and lakes. The southern coast is a labyrinth of fjords, inlets, canals, twisting peninsulas, and islands. The Andes Mountains are located on the eastern border. About 85% of Chile's population lives in urban areas; greater Santiago is home to more than six million people and dominates Chile's political and economic institutions. Chile is a multiethnic society, and a majority of the population can claim some European ancestry, mainly Spanish (Castilian, Andalusian, and Basque), but also German, Italian, Irish, French, British, Swiss, and Croatian, in various combinations. A small yet influential number of Irish and English immigrants came to Chile during the colonial period. German immigration began in the mid-1800s and continued into the 20th century; the southern provinces of Valdivia, Llanquihue, and Osorno show a strong German influence. In addition, there are a significant number of Middle Eastern, mainly Palestinian, immigrants and their descendants. About 800,000 Native Americans, mostly Mapuche, reside in the south-central area. The Aymara, Atacameno, and Diaguita groups can be found mainly in Chile's northern desert valleys and oases. Easter Island (Rapa Nui) is home to the Rapa Nui, an indigenous population. About 10,000 years ago, migrating indigenous peoples settled in fertile valleys and along the coast of what is now Chile. The Incas briefly extended their empire into what is now central Chile, but the northern area's barrenness prevented extensive settlement. The first Europeans to arrive in Chile were Diego de Almagro and his band of Spanish conquistadors, who came from Peru seeking gold in 1536. The Spanish encountered hundreds of thousands of Indians from various cultures in the area that modern Chile now occupies. These cultures supported themselves principally through slash-and-burn agriculture, hunting, and fishing. The conquest of Chile began in earnest in 1540 and was carried out by Pedro de Valdivia, one of Francisco Pizarro's lieutenants, who founded the city of Santiago on February 12, 1541. Although the Spanish did not find the extensive gold and silver they sought, they recognized the agricultural potential of Chile's central valley, and Chile became part of the Viceroyalty of Peru. The drive for independence from Spain was precipitated by usurpation of the Spanish throne by Napoleon's brother Joseph in 1808. A national junta in the name of Ferdinand — heir to the deposed king — was formed on September 18, 1810. The junta proclaimed Chile an autonomous republic within the Spanish monarchy. A movement for total independence soon won a wide following. Spanish attempts to reimpose rule during what was called the "Reconquista" led to a prolonged struggle. Intermittent warfare continued until 1817, when an army led by Bernardo O'Higgins, Chile's most renowned patriot, and Jose de San Martin, hero of Argentine independence, crossed the Andes into Chile and defeated the royalists. On February 12, 1818, Chile was proclaimed an independent republic under O'Higgins' leadership. The political revolt brought little social change, however, and 19th century Chilean society preserved the essence of the stratified colonial social structure, which was greatly influenced by family politics and the Roman Catholic Church. A strong presidency eventually emerged, but wealthy landowners remained extremely powerful. Toward the end of the 19th century, the government in Santiago consolidated its position in the south by suppressing the indigenous Mapuche. In 1881, it signed a treaty with Argentina confirming Chilean sovereignty over the Strait of Magellan. As a result of the War of the Pacific with Peru and Bolivia (1879-83), Chile expanded its territory northward by almost one-third and acquired valuable nitrate deposits, the exploitation of which led to an era of national affluence. Chile established a parliamentary democracy in the late 19th century, but this degenerated into a system protecting the interests of the ruling oligarchy. By the 1920s, the emerging middle and working classes were powerful enough to elect a reformist president, whose program was frustrated by a conservative congress. A new constitution that gave heightened power to the executive and formally separated church and state went into effect 1925. In the 1920s, Marxist groups with strong popular support arose. Continuing political and economic instability resulted with the rule of the quasi-dictatorial General Carlos Ibanez (1927-32). When constitutional rule was restored in 1932, a strong middle-class party, the Radicals, emerged. It became the key force in coalition governments for the next 20 years. During the period of Radical Party dominance (1932-52), the state increased its role in the economy. The 1964 presidential election of Christian Democrat Eduardo Frei Montalva by an absolute majority initiated a period of major reform. Under the slogan "Revolution in Liberty," the Frei administration embarked on far-reaching social and economic programs, particularly in education, housing, and agrarian reform, including rural unionization of agricultural workers. By 1967, however, Frei encountered increasing opposition from leftists, who charged that his reforms were inadequate, and from conservatives, who found them excessive. At the end of his term, Frei had accomplished many noteworthy objectives, but he had not fully achieved his party's ambitious goals. In 1970, Senator Salvador Allende, a Marxist and member of Chile's Socialist Party, who headed the "Popular Unity" (UP) coalition of socialists, communists, radicals, and dissident Christian Democrats, won a plurality of votes in a three-way contest and was named President by the Chilean Congress. His program included the nationalization of private industries and banks, acceleration of agrarian reform and land expropriation, and collectivization. Allende's program also included the nationalization of U.S. interests in Chile's major copper mines. Elected with only 36% of the vote and by a plurality of only 36,000 votes, Allende never enjoyed majority support in the Chilean Congress. Not all of his coalition's members agreed on his "Chilean Road to Socialism," and some pushed for more radical measures. Domestic production declined; severe shortages of consumer goods, food, and manufactured products were widespread; and inflation reached 1,000% per annum. Mass demonstrations, recurring strikes, violence by both government supporters and opponents, and widespread rural unrest ensued in response to the general deterioration of the economy. By 1973, Chilean society had split into two hostile camps. A military coup overthrew Allende on September 11, 1973. As the armed forces bombarded the presidential palace, Allende reportedly committed suicide. A military government, led by General Augusto Pinochet, took over control of the country. The regime was marked by serious human rights violations and the stifling of civil liberties and political expression. Through a new authoritarian constitution, approved by a plebiscite on September 11, 1980, General Pinochet became President of the Republic for an 8-year term. In its later years, the regime gradually permitted greater freedom of assembly, speech, and association, to include trade union activity. In contrast to its authoritarian political rule, the military government pursued decidedly laissez-faire economic policies. During its 16 years in power, Chile moved away from economic statism toward a largely free market economy that fostered an increase in domestic and foreign private investment. In a plebiscite on October 5, 1988, Chileans voted for elections to choose a new president and the majority of members of a two-chamber congress, denying General Pinochet a second 8-year term as president. On December 14, 1989, Christian Democrat Patricio Aylwin, the candidate of a coalition of 17 political parties called the Concertacion, was elected president. Pinochet remained as commander-in-chief of the Army until 1998, when he became senator for life. Aylwin served from 1990 to 1994 and was succeeded by another Christian Democrat, Eduardo Frei Ruiz-Tagle (son of Frei Montalva), leading the same coalition, for a 6-year term. Ricardo Lagos Escobar of the Socialist Party and the Party for Democracy led the Concertacion to a narrower victory in the 2000 presidential elections. His term ended on March 11, 2006, when President Michelle Bachelet Jeria, of the Socialist Party, took office for a 4-year term. In 2010, center-right Alianza coalition candidate Sebastian Pinera's inauguration marked the first time the Concertacion had not held the presidency since the return to democracy in 1990. President Pinera's inauguration came less than 2 weeks after a devastating magnitude 8.8 earthquake (at that time, the fifth-largest ever recorded) that struck Chile on February 27, 2010. The earthquake and its aftershocks were felt throughout the central part of Chile, home to 75% of the population. The earthquake and subsequent tsunamis caused considerable damage in the two regions nearest the epicenter about 70 miles from Concepcion (200 miles southwest of Santiago); over 500 people were killed, hundreds of thousands of homes were destroyed or damaged, and nearly two million people were affected. By 2011, the economy had recovered from the effects of the earthquake, and most of the damaged infrastructure was restored. In certain areas heavily affected by the earthquake, some groups expressed concern about the availability of permanent housing. Chile achieved global recognition for the successful rescue of 33 trapped miners in 2010. On August 5, 2010 the access tunnel collapsed at the San Jose copper and gold mine in the Atacama Desert near Copiapo in northern Chile, trapping 33 men 700 meters (2,300 ft.) below ground. A rescue effort organized by the Chilean Government located the miners 17 days later. All 33 men were brought to the surface on October 13, 2010, over a period of almost 24 hours, an effort that was carried on live television around the world. Chile's Constitution was approved in a September 1980 national plebiscite. It entered into force in March 1981. After Pinochet's defeat in the 1988 plebiscite, the Constitution was amended to ease provisions for future amendments to the Constitution. In September 2005, President Ricardo Lagos signed into law several constitutional amendments passed by Congress. These included the elimination of the positions of appointed senators and senators for life, the granting of authority to the President to remove the commanders-in-chief of the armed forces, and the reduction of the presidential term from 6 to 4 years. Presidential and congressional elections were held December 2009. In the first round of presidential elections, none of the four presidential candidates won more than 50% of the vote. As a result, the top two vote-getters — center-left Concertacion coalition's Eduardo Frei and center-right Alianza coalition's Sebastian Pinera — competed in a run-off election on January 17, 2010, which Pinera won. This was Chile's fifth presidential election since the end of the Pinochet era. All five have been judged free and fair. The President is constitutionally barred from serving consecutive terms. President Pinera and the new members of Congress took office on March 11, 2010. Chile has a bicameral Congress, which meets in the port city of Valparaiso, about 140 kilometers (84 mi.) west of the capital, Santiago. Deputies are elected every 4 years, and senators serve 8-year terms. Chile's congressional elections are governed by a unique binomial system that rewards coalition slates. Each coalition can run two candidates for the two Senate and two Deputy seats apportioned to each electoral district. Historically, the two largest coalitions (Concertacion and Alianza) split most of the seats in a district. Only if the leading coalition ticket out-polls the second-place coalition by a margin of more than 2-to-1 does the winning coalition gain both seats. All 120 Chamber of Deputies seats were up for election in December 2009 congressional elections. Alianza won 58, with Concertacion taking 54, Communists and Independent Regionalist Party each winning three, and independents winning two. In the Senate, where half of the 38 seats were up for election, Concertacion regained a slim majority and has 19 seats to Alianza's 17, with independents holding the remaining two. Chile's judiciary is independent and includes civil, criminal, family and labor courts, courts of appeal, a system of military courts, a constitutional tribunal, and the Supreme Court. In June 2005, Chile completed a nation-wide overhaul of its criminal justice system. The reform replaced inquisitorial proceedings with an adversarial system, similar to that of the United States. Chile maintains an embassy in the United States at 1732 Massachusetts Avenue, NW, Washington, DC 20036; tel: 202-785-1746, email: embassy@embassyofchile.org. Chile's Armed Forces are subject to civilian control exercised by the President through the Minister of Defense. The President appoints service chiefs to 4-year terms and has the authority to remove them. In 2010, the Ministry of Defense was restructured and a new Joint Staff was created. The commander-in-chief of the Chilean Army is General Juan Miguel Fuente-Alba Poblete. The Chilean Army is 36,250 strong and is organized with an Army headquarters in Santiago, six divisions throughout its territory, an Aviation Brigade in Rancagua, and a Special Operations Brigade in Colina. The Chilean Army has been undergoing a modernization process that has transformed it from a territorial-based organization to a deployable, operational organization. The Chilean Army is one of the most professional and technologically advanced armies in Latin America. Admiral Edmundo Gonzalez Robles directs the 22,000-person Navy, including 2,500 Marines and 2,000 coastguardsmen. The fleet consists of more than 85 surface vessels, including seven frigates, an oiler, and an amphibious landing ship. The frigates are based in Valparaiso. The Navy operates its own aircraft for transport and patrol; it does not have any Navy fighter or bomber aircraft. The Navy also operates four modern diesel-electric submarines based in Talcahuano. The Chilean Navy Coast Guard is responsible for environmental protection of the sea and search and rescue responsibility of an area over 26.5 million square kilometers. Gen. Jorge Rojas Avila heads an air force of 12,500. Air assets are distributed among five air brigades headquartered in Iquique, Antofagasta, Santiago, Puerto Montt, and Punta Arenas. The Air Force also operates an airbase on King George Island, Antarctica and at Quintero, near Valparaiso. The FACH has one of the most capable air forces in Latin America with 10 Block 50 F-16s purchased new from the U.S., and 36 reconditioned Block 15 F-16s from the Netherlands. Lieutenant General Hernan Mardones Rios is Chief of the Joint Staff. His position was established in 2010. The Joint Staff advises the Minister of Defense on military issues, in conjunction with the service chiefs. His role is more specific than that of his U.S. counterpart. Lieutenant General Mardones commands and controls all military operations in times of crisis and conflict. He also establishes joint doctrine, organizes and trains forces in joint employment, and controls forces actually deployed in peacekeeping operations. The Joint Staff also operates two joint commands (in the north and south of Chile) and a Peacekeeping Operations Training Center (CECOPAC) in Santiago. After the military coup in September 1973, the Chilean national police (Carabineros) were incorporated into the Defense Ministry. With the return of democratic government, the police were placed under the operational control of the Interior Ministry but the Defense Ministry retained administrative control of the force. In February 2011 the Carabineros were formally relocated into the Interior Ministry. Gen. Gustavo Adolfo González Jure is the head of the national police force of 45,000 men and women who are responsible for law enforcement, traffic management, narcotics suppression, border control, mountain rescue, VIP security, and counterterrorism throughout Chile. Chile has pursued sound economic policies for nearly three decades. The government's role in the economy is mostly limited to regulation, although the state continues to operate copper giant CODELCO and a few other enterprises, including one state-owned bank — Banco Estado. 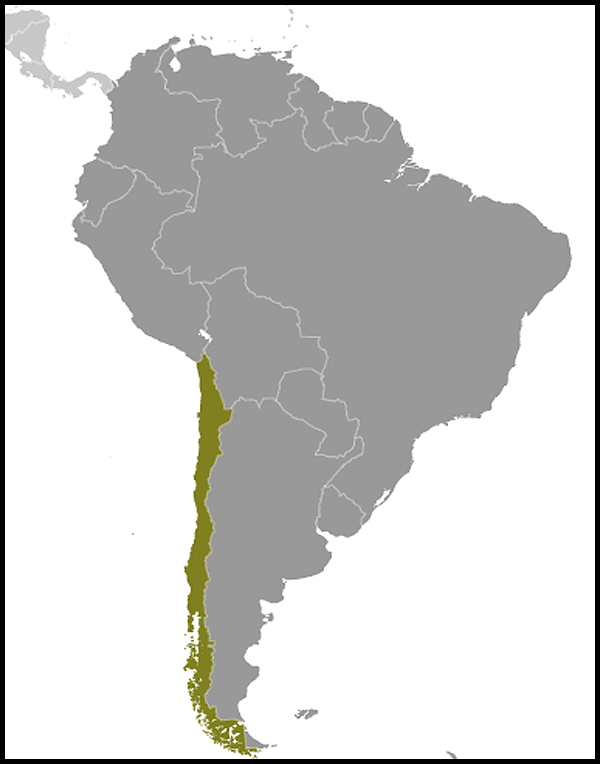 Chile joined the Organization for Economic Cooperation and Development (OECD) in 2010, the first South American nation to do so. Chile is strongly committed to free trade and has welcomed large amounts of foreign investment. The business climate is generally straightforward and transparent. Chile's sound, market-oriented policies have created significant opportunities for foreign investors to participate in the country's steady economic growth. Foreign investors receive treatment similar to Chilean nationals in nearly all sectors. There are generally no special exemptions or incentives for foreign investment as a matter of policy. A broad political consensus on the advantages of foreign investment means that Chile's policies toward foreign direct investment are unlikely to change. The country has trade agreements with 60 countries, including a free trade agreement (FTA) with the United States, which was signed in 2003 and implemented in January 2004. The United States and Chile are participating in trade negotiations in the Trans-Pacific Partnership, along with seven other nations. Chile's overall trade profile has traditionally been dependent upon copper exports. The state-owned firm CODELCO is the world's largest copper-producing company, with recorded copper reserves of 200 years. Several large Chilean and international private copper companies also operate in Chile. Chile has made an effort to expand nontraditional exports. The most important non-mineral exports are forestry and wood products, fresh fruit and processed food, fishmeal and seafood, and wine. In 2010 total exports were $69.6 billion, an important increase from 2009 ($53.7 billion) due mainly to cooper prices. Imports increased from $39.7 billion in 2009 to $54.5 billion in 2010, driven in large part by higher petroleum prices. In 2010, China was Chile's largest export market, followed by Japan, the United States, Brazil, and the Netherlands. Chile's most important sources of imports are the United States, China, Brazil, Argentina, and South Korea. Chile's approach to foreign direct investment is codified in the country's foreign investment law, which gives foreign investors the same treatment as Chileans. Registration is simple and transparent, and foreign investors are guaranteed access to the official foreign exchange market to repatriate their profits and capital. Net foreign direct investment in Chile in 2010 was $18.2 billion, up 43% over 2009. Chile's Government received high marks from economists and its citizens for its countercyclical spending in 2009 (financed largely from saved copper revenues) to offset the effects of the global economic crisis. Chile has emerged from the recession that resulted from the global economic downturn as well as the economic dislocation caused by the February 2010 earthquake. Economic growth was 1.5% in 2009 and 5.2% in 2010; the economy is expected to grow around 6.5% in 2011. The government is required by law to run a fiscal surplus of at least 1% of GDP; however, this rule was changed to 0.5% of GDP in 2008, and waived for 2009, given the pressures from the global economic crisis. The government had a structural deficit of 1.2% in 2010. Unemployment reached almost 11% in mid-2009; however, it averaged 8% in 2010. Wages have risen faster than inflation as a result of higher productivity, boosting national living standards. The percentage of Chileans with incomes below the poverty line — defined as twice the cost of satisfying a family of four's minimal nutritional needs — fell from 46% in 1987 to around 18% by 2005; since 2006, the percentage of Chileans below the poverty level had been between 13% and 14%, but the economic downturn drove these numbers back up over 15% in 2009. Chile's independent Central Bank currently pursues an inflation target of 3%. In 2007, inflation inched toward 8% — the first time inflation had exceeded 5% since 1998. In 2008, inflation increased further, hitting a high of 9.9% in October 2008, before moving lower again at the end of the year. In 2009 and 2010, inflation in Chile decreased to between 2% and 2.7% — within the Central Bank's target range. The Chilean peso floats freely. However, the Chilean Central Bank has made significant purchases in the foreign-exchange market on occasion in recent years to mitigate the effects of the peso's appreciation. In March 2008, the Central Bank began a program of buying dollars to slow the appreciation of the peso, and then suspended those operations in November 2008 when the peso depreciated significantly because of the global financial crisis. The peso strengthened 8.4% in 2010, and in January 2011, the Central Bank announced it would purchase $12 billion in reserves over 2011 to slow the appreciation of the peso. The Chilean Government estimated that the February 27, 2010, earthquake and tsunamis destroyed 3% of Chile's capital stock and cost around $30 billion, more than 17% of Chile's GDP. The government spent several hundred million dollars on emergency relief measures and committed an initial $8.4 billion for reconstruction focused in four main areas: rebuilding homes, reconstructing schools, restoring public infrastructure, and providing health care in heavily affected areas. Chile has made significant progress on rebuilding infrastructure (roads, bridges, potable water) and schools since the earthquake. If Chile meets its stated goal of 6% annual economic growth, its energy demand could nearly double by 2020. While the economy as a whole is expanding, providing energy to the booming mining sector (investments up to $100 billion over 10 years) is particularly challenging. Chile has considerable hydroelectric resources, but relies on imported hydrocarbons to meet approximately 70% of its energy needs. Chile reduced previous dependence on imported gas from Argentina by completing two liquefied natural gas (LNG) re-gasification terminals. Chile is increasing thermoelectric capacity and exploring the option of civil nuclear energy. A drought in 2010-2011 has reduced hydroelectric production and raised concerns about electricity rationing. Longer term, Chile is exploring tapping into its considerable renewable energy sources, pursuing solar, wind, geothermal, biofuels and biomass projects, and looking to collaborate on energy with other countries in the region and beyond. U.S.-Chile collaboration on the environment includes sustainable development, air pollution, energy efficiency, conservation and wildlife management, marine protected areas, environmental law enforcement, glacier monitoring, and agricultural best practices. Chile-U.S. cooperation includes projects under the Environment and Climate Partnership of the Americas (ECPA) announced at the April 2009 Summit of the Americas and a memorandum of understanding (MOU) on clean energy and energy efficiency cooperation signed during the June 2009 U.S. visit of President Bachelet. Cooperation on energy issues bolsters our partnership in key areas, including actively promoting the use of U.S. renewable energy technologies (solar, wind, and geothermal), science and technology (S&T), innovation, education, and ways to address greenhouse gas emissions and climate change. The two countries also work together under the Environment Cooperation Agreement and the Science and Technology Agreement. Many U.S. technical agencies are actively engaged in Chile, including the U.S. Environmental Protection Agency, the Department of Interior, the U.S. Geological Survey, the National Park Service, and the National Oceanographic and Atmospheric Administration. The two countries have three sister park agreements. In 2008, Chile's best-known national park, Torres del Paine, and the U.S. Yosemite National Park signed a sister park agreement to promote information and expert exchanges; in April 2009, Santiago's Parque Metropolitano and San Francisco's Golden Gate Park also became sister parks. During President Obama's visit to Chile in March 2011, a sister park agreement between Glacier Bay National Park and Reserve in Alaska and Francisco Coloane National Park and Marine Protected Area was signed. Chile is a constructive participant in international talks under the UN Framework Convention on Climate Change, supporting the Copenhagen Accord in 2009 and the Cancun Agreements in 2010. The country also pledged to reduce greenhouse gas emissions 20% by 2020 (from a 2007 base). Since its return to democracy in 1990, Chile has been an active participant in the international political arena. Chile completed a 2-year non-permanent position on the UN Security Council in January 2005. Jose Miguel Insulza, a Chilean national, was elected Secretary General of the Organization of American States in 2005 and reelected in 2010. Chile hosted the Tenth Anniversary of the signing of the OAS's democratic charter in 2011. Chile served as a member of the International Atomic Energy Agency (IAEA) Board of Governors in 2007-2008 and was elected again for 2010-2012, and as the Union of South American Nations (UNASUR) president pro tempore until August 2009. Chile is the Secretary Pro Tempore from 2010 to 2012 of the Rio Group, a multilateral organization of Latin American and Caribbean countries, and is scheduled to host the Rio Group's 15th meeting with EU countries this year. In October 2010, Chile applied for membership in the International Energy Agency and is still awaiting a decision. The country is an active member of the UN family of agencies, including the UN Human Rights Council, and participates in UN peacekeeping activities; Chile currently has over 500 peacekeepers in Haiti. Chile hosted the Asia Pacific Economic Cooperation (APEC) summit and related meetings in 2004. It hosted the Ibero-American Summit in November 2007 and the Progressive Governance Network in March 2009. An associate member of Mercosur, a full member of APEC, a member of the Arco del Pacifico, and a member of the Pathways to Prosperity, Chile has been an important actor on international economic issues and hemispheric free trade. Chile hosted the Americas Competitiveness Forum in September 2009. The Chilean Government has diplomatic relations with most countries. In 2011, Chile officially recognized the state of Palestine, and it settled its territorial disputes with Argentina during the 1990s. Chile and Bolivia severed diplomatic ties in 1978 over Bolivia's desire to reacquire territory it lost to Chile in the 1879-83 War of the Pacific. The two countries maintain consular relations and are represented at the consul general level. In January 2008, Peru submitted a case to the International Court of Justice (ICJ) in The Hague regarding the demarcation of its maritime border with Chile; Chile disagrees with Peru's assertion and is challenging its claim in the ICJ. Chile acceded to the International Criminal Court in June 2009. Relations between the United States and Chile have reached historic highs in recent years. The U.S. Government applauded the rebirth of democratic practices in Chile in the late 1980s and early 1990s and sees the maintenance of a vibrant democracy and a healthy and sustainable economy as among the most important U.S. interests in Chile. Besides the landmark U.S.-Chile FTA, the two governments consult frequently on issues of mutual concern, including in the areas of multilateral diplomacy, security, culture, and science. A number of U.S. companies and agencies supported the effort led by the Government of Chile that resulted in the October 2010 rescue of 33 miners trapped in the San Jose mine. Several U.S. companies were involved in the drilling effort that established the escape tunnel. Many private companies and organizations offered or supplied equipment, technology, or expert advice in support of the rescue effort. The technical expertise of U.S. state and federal government agencies, including NASA, also assisted the rescue effort. In June 2008, then-President Michelle Bachelet and then-Californian Governor Arnold Schwarzenegger launched the Chile-California Partnership for the 21st Century. This collaboration was reaffirmed by President Pinera during a September 2010 visit to California. The partnership fosters collaboration between individuals, government, and the private sector in areas such as agriculture, energy efficiency, environmental resource management, and education. Chile and Massachusetts plan to enter into a similar agreement in December 2011. The U.S. Chile Equal Opportunities Scholarship Program, inaugurated in 2007, was established to sponsor English and academic studies for Chilean PhD students who come from disadvantaged and rural areas that have not traditionally had access to English language schools or study abroad opportunities. The program has been quite successful, becoming a model for other international scholarships programs with Chile. The U.S. Government and the Government of Chile have frequent high-level interaction. President Pinera met with President Barack Obama at the Nuclear Security Summit in April 2010 in Washington, DC, and President Obama visited Chile in March 2011. President Pinera participated in the APEC Summit hosted by President Obama in Hawaii in November 2011. Then-President Bachelet met with President Obama at the Summit of the Americas in April 2009 and traveled to Washington for another visit in June 2009. Vice President Joseph Biden traveled to Chile in March 2009 to participate in meetings of the Progressive Governance Network and hold bilateral talks with President Bachelet. In March 2010, in the wake of the February 27 earthquake, Secretary of State Hillary Clinton visited Chile to extend the sympathy and solidarity of the American people. She also brought with her the first of the supplies and assistance sent by the U.S. Government in support of Chile's relief efforts. In addition to working closely with Chilean Government officials to strengthen our bilateral relationship, the U.S. Embassy in Santiago provides a wide range of services to U.S. citizens and businesses in Chile. (Please see the embassy's home page for details of these services.) The Embassy also is the locus for a number of American community activities in the Santiago area. The public affairs section cooperates with educational institutions and nongovernmental organizations (NGOs) on a variety of programs of bilateral interest. Of special note are extensive U.S. Speaker, International Visitor, and Fulbright academic exchange programs. Themes of particular interest include energy and environmental issues, trade, intellectual property rights, international security, democratic governance in the region, educational quality, law enforcement, and the teaching of English. The public affairs section works daily with Chilean media, which has a keen interest in bilateral and regional relations. It also assists visiting foreign media, including U.S. journalists, and is regularly involved in press events for high-level visitors. The public affairs section, largely through the Information Resource Center, disseminates information about U.S. policies, society, and culture. Attaches at the Embassy from the Foreign Commercial Service, Foreign Agricultural Service, and the Animal and Plant Health Inspection Service (APHIS) work closely with the hundreds of U.S. companies who export to or maintain offices in Chile. These officers provide information on Chilean trade and industry regulations and administer several programs intended to support U.S. companies' sales in Chile. The consular section of the Embassy provides vital services to the more than 18,000 U.S. citizens residing in Chile. It assists Americans who wish to vote in U.S. elections while abroad, provides U.S. tax information, and facilitates government benefits/social security payments. Besides U.S. citizens resident in Chile, about 160,000 U.S. citizens visit Chile annually. The consular section offers passport and emergency services to U.S. tourists during their stay in Chile. It also issued about 53,000 visitor visas in FY 2010 to Chilean citizens who planned to travel to the United States. Questions about American Citizen Services - santiagoamcit@state.gov (santiagoamcit@state.gov). Additional information regarding U.S. and U.S.-Chile trade can be found at the following websites: (http://www.export.gov/).